Which app do you use for cleaning out all cache/junk files/etc, and why do you use it? 2) My phone hasn't exploded as a result of using it. Good enough reasons for me, anyway. I always used ccleaner. but if you dont what to use an utility, you can use windows own disk cleanup. just do a search for it on your computer. And if, like me, you don't have Windows on your telephone?? Last edited by renegade600; June 18th, 2017 at 11:00 PM. Good tip, Dan. Used that before with good results. Just didn't want anyone to brick their phone. How do you set up this app to clean out cache etc? I thought the only thing this app does is "kill" apps that are running in the background. How can what Dan suggests, cause anyone to brick their phone? You don't. It's only designed to kill running apps. I downloaded and played with a cache cleaner, and aside from annoying adverts (it's a free version) it worked as advertised. I uninstalled it yesterday tho, as I saw no benefits from using it. Oh well. Following Dan's instructions won't brick your telephone. Not following exactly can have bad results. In frustration, a friend's wife last week 'reset' her phone following directions she found online. It worked - but it cleared all her contacts, text messages, etc. Not what she wanted or expected to happen. I tried different apps to disable running tasks and found that it would turn them off but a few minutes later, the tasks would turn back on. in addition I found the cache cleaner would delete the cache from the apps but not android updates. they may have gotten better since but I really do not see a need for it. I have tried Dan's suggestion many times since he posted it, and cannot get it to work. So I have installed CCleaner and will see how that goes. I do know that app data cannot be deleted through such apps, that has to be done manually, app by app. My phone is a Samsung Galaxy S2, and has "limited" free space, it doesn't take long to fill up! As for the Task Killers, I'm finding out that in order for them to work, the phone needs to be "rooted". Remove the battery and reinsert. Press and hold the power button while still holding down to BOTH volume keys. As soon as you see the Samsung logo, release all keys/buttons. Press on the Volume Down to scroll down to teh delete all cache data. Wait for a few minutes for the phone to clear the data. Then press home to select reboot system now. Last edited by renegade600; June 25th, 2017 at 10:19 PM. Thanks Dan, I shall give this a try and report back. I hop between the part of chrome that does it, Ccleaner and Clean Up! This is why cached data exists is to make loading time faster and the device already has the layout of the website saved in the form of cached data and it will not have to load that same data once again that best help to easy website run. Step 1: Switch off your Android KitKat device. Step 2: Press and hold the Volume Down button. Step 4: Continue to press the Volume Down key. Step 5: Highlight Recovery by using the Volume Down key and use your Power key to confirm the selection. Step 6: See a red triangle icon and after press the Volume Up key and the Power key simultaneously. Step 7: Use the Volume Down key to highlight Wipe Cache Partition and use your Power key to confirm your selection. Step 8: Once the cache partition has been deleted, use your Power key to choose the option Reboot System Now. Now all thing done and after clear cached data for Android KitKat version very easy that is best all time. Step 1: Power off your Android device. Step 2: Press and hold the Volume Down and Power key of your device. Step 3: help of the Volume Down key and highlight Recovery. 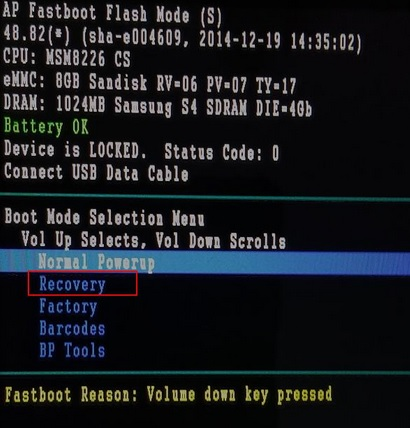 Step 4: use the Power key to select it so that your phone boots into Recovery. Step 5: You will be on a black screen. Step 6: Press and hold the Volume Up and Power key and you see the Recovery menu. Step 7: help of the Volume Down key, navigate to the option that says Wipe cache partition and press the power key to select it. Step 8: Once the cache is deleted and uses the Volume Down key once again to highlight the option that says Reboot System now after select it using the Power key. Now reboot completed after clear data for Android Lollipop versions that is best all time. Step 1: Power off your Android Marshmallow device. Step 2: Press and hold the Power and Volume button. Step 3: help of the Volume keys and highlight Recovery and use the Power key to confirm your selection. Step 4: When the screen shows the Android bot on then press the power and volume key together just once and you will be on the Recovery menu. Step 5: Use the Volume keys once again to highlight Wipe Cache Partition and use the Power key to select the highlighted option. Step 6: System cache has been deleted. Now reboot completed after clear data for Android Marshmallow versions that is best all time. ]Step 1: Settings menu of your phone by pulling down the notification shade and tapping on the gear icon on the top. Step 2: Look for storage and tap on it. Step 3: Now tap on Cached Data. Step 4: Pop-up screen which will ask for confirmation. Step 5: Tap on OK.
Last edited by chigg; September 8th, 2017 at 01:25 PM. I also use Ccleaner software friend and it's really great software for cleaning junk file Cache.